Most Chinese learners always be asked to find out what is the difference in “别（bié）”,”不要(bú yào)”,”没有(méi yǒu)”. And the responses is extremely similar:”It is no difference, the all meaning is NO”. Generally, the answer is right, but some time the usage of words in the sentence is different. Against the “不要” and “没有”，these two words are used totally different in Chinese. “没有” is used with nouns. It means there isn’t something. But “不要“ is used to modify a verb or an adjective. It can mean someone do not do something or is not something. 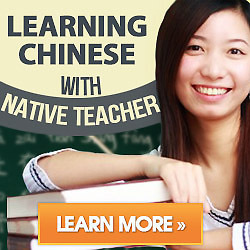 I believe just more practice above in your real life, you would be easy to grab how to use in Chinese.